We stopped in Richland for lunch at the Up North Sandwich & Pasty Shop and had wonderful pasties without the extra 300 miles to the UP. 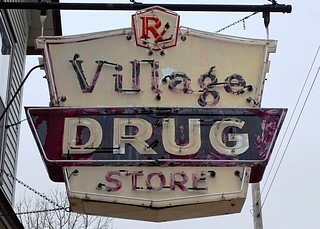 Also in the village were two very nice neon signs. 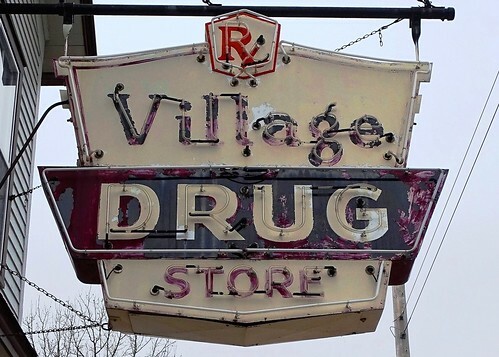 Here is one for the Village Drug Store although it is no longer a drug store.